This week’s Creative Canadian Woman is the fabulous Maureen Washington. If you haven’t read her interview yet, check it out here. I love giveaways… and Maureen is giving two of her CDs! First up is Blues in the Night. This album is a collection of Maureen’s mother’s favourites… maybe some of them will be your favourites, too. It includes classics such as At Last, A Nightingale Sang In Berkley Square, and Georgia on My Mind. Go here to listen to some samples. The second CD is Here We Go Again. 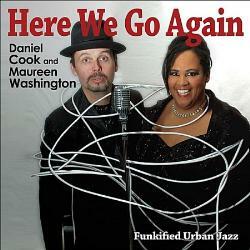 This one features original songs by Maureen Washington and guitarist Daniel Cook, and is described as “Funkified Urban Jazz.” Listen to samples here. Maureen has provided not one, but two copies of each… so two lucky winners will each receive both CDs! 1. Follow (subscribe to Pennello Lane or “like” the Facebook page) – 1 entry. 2. Leave a comment on either this post, or yesterday’s interview – 1 entry. 3. Tweet the following message – 1 entry. I will randomly draw two winners on September 20 at 12:00 pm (Pacific Time) and will announce them on this post. This contest is open to anyone, anywhere, except where prohibited by law. You must provide a valid email address to enter. Winners will be notified by email within 12 hours of closing time, and will have 48 hours to respond and provide a mailing address. Multiple comments do not give you more entries; maximum 2 entries per person (one by following, one by commenting). Update: The winners are Jennifer Peaslee and Louise Ducote. Congratulations! I hope I win Kate! I really like Maureen’s music! Yesterday’s article on your interview with Maureen was great! Just like Maureen and her music. Wonderful singer! Love that she is from Prince George, eh?! Anyway, I’m enjoying the interviews very much. Carol Swinden recently posted..The garlic is harvested….finally! I love Maureen’s music! Thanks for the chance to win. Thanks for visiting and entering… good luck! Hey there. Here from the SITS girls showing you support. Great feature/blog. Crossing my fingers that I win! Thanks for posting this on SITS. Wow! I’d love to win these CDs. I love the song stylings of Maureen Washington! I like Pennello Lane on FB Jess Anderson and I would love to win! Please Enter Me In Your Maureen Washington: Music Giveaway! In Response To Your Requirement To Enter I Have Liked The Pennello Lane Facebook Page. She sounds great. Thanks for the giveaway. 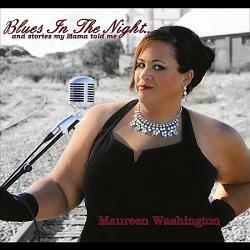 This is a great giveaway and i would like to win Maureen Washington CD. Really enjoyed listening to the samples – she sings my kind of music. I would love to win this CD!